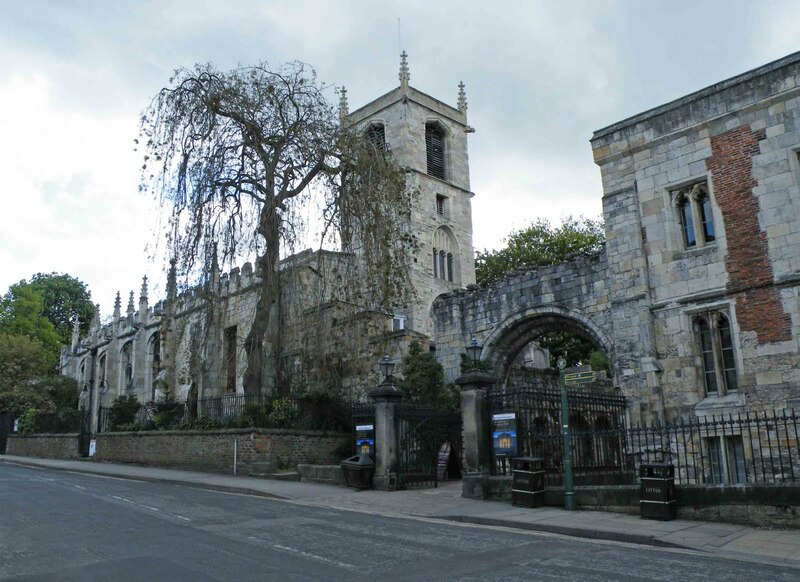 It would appear from some internet sources, that the roof of St Olave was used as a gun platform during the siege of York in 1644. Between June the 3rd and June the 16th, Parliamentarian forces pounded York from a number of positions around the city, including the gun emplacement built on the roof of the church. As a result, it would seem that the Royalist forces within the city walls returned fire, badly damaging the church and its attendant buildings. Rebuilding didn't really take place until the early 18th century, when all the damage was finally made good using stone from the now ruined St Mary's Abbey next door. This has echoes of St John the Baptist in Chester, and that particular church's use in the siege of that city. Above. Looking North East up Marygate. 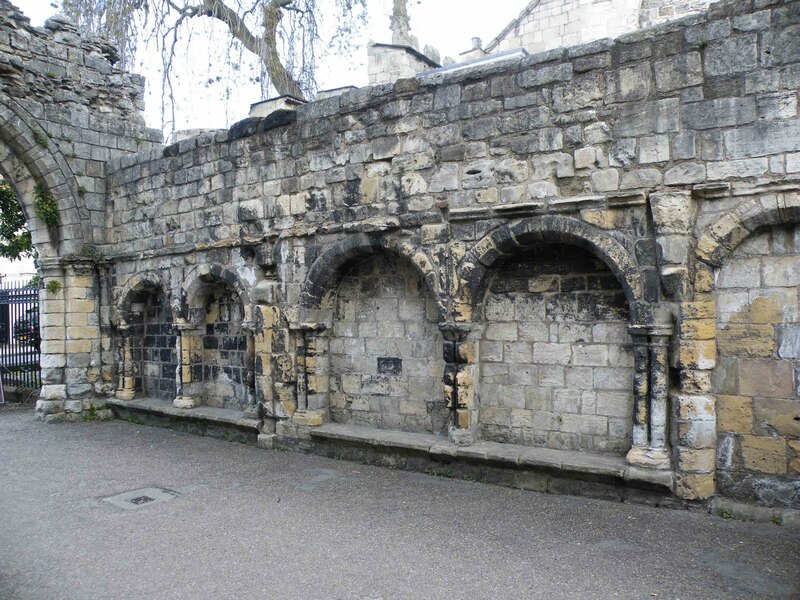 The walls that run along Marygate suddenly end half way along the nave of the church of St Olave. I think this small portion of wall was probably dismantled when the church was rebuilt and extended in around 1466. For some reason it seems to have been deemed safe for the North wall of the Nave to replace the otherwise sturdily built defensive city walls. Above. The interior North East wall of the gatehouse. 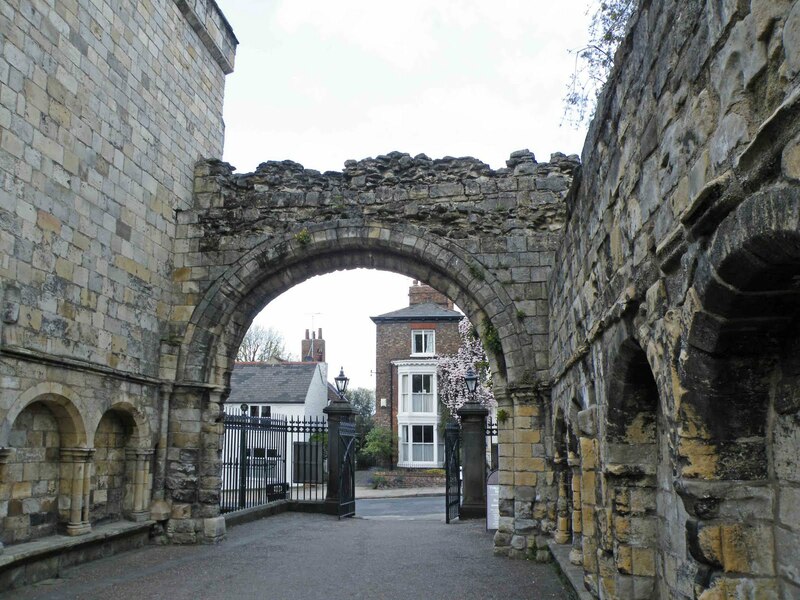 The gatehouse would originally have been a fully covered structure, with gates at the street end (Marygate) and at the other end. As with gatehouses at other great monastic sites, such as Furness and Shap, the gatehouse would have been used for security rather than defence, and would have enabled the administrators of St Olaves to control the flow of traffic to and from the abbey precincts. 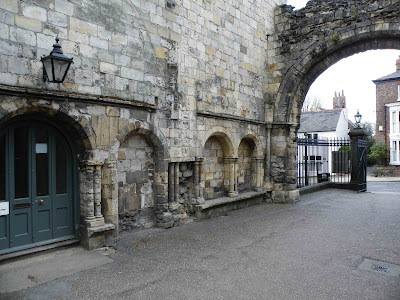 Gatehouses for these religious houses would most likely have also provided them with a certain degree of autonomy from the city of York's administrative bodies, essentially separating the abbey from the city....emphasising their place in the social structure of the time. Above. The interior South West wall of the gatehouse. From what I can gather, the gatehouse was probably built during the 15th century, although parts of the external walls attached to the archway are thought to be 12th century, probably indicating that there was an earlier structure on this site. The lodge attached to the gatehouse would have been used as accommodation for important guests. Check this link out for further information on St Olaves.